Okay...Here are the VERY VERY rough rules for Crimson Steel. #1. It is very crude, I still have to go through it and edit. #3. The rules are a little over-complicated. However I am going to have my personal rules somewhat complicated, with options to speed it up (For example, instead of checking for a infantries wound, mortal, light,etc. Just remove him from the scoresheet). Well....R&R and keep the above in mind Again..please let me know how to imporove it. Q. What is Crimson Steel? A. A ground-based game similar to Crimson Skies except on the ground. Q. Does Crimson Steel play side-by-side with aircraft? A. Yes and no...I am working on a better system, for now aircraft are used as described below. If you got any suggestions please let me know. A. Yeah in a way...I overconfuse things.But I am trying to make it as combat-realistic (Probably failed, but a try). Just use the base structure and set up your own rules as you see fit This is all just a big suggestion. A. The damage system is relatively easy for tanks, it is just the CrimsonSkies aircraft damage templates system. Line of Sight (LOS)+Cover applicable to all units. Infantry:1 level of ground, or 1 light woods hex. Tanks: 2 light woods hexes or 1 heavy woods hex, or 2 levels of ground. Artillery: Anything. They cannot have woods or rises in between. The hexes do not include the one the unit is currently in. (For example, if there is a line of 3 light woods, the tanks would need to be in the 3rd row in order to be concealed. Cover: There is a +1 difficulty for each light woods hex fired through, and a +2 difficulty for Heavy woods hexes. Movement takes place simultaniously. All players plot their moves beforehand and move at once. Woods and rough ground take extra speed. For instance, a unit that could move 3 hexes over level ground. (Affected differantly by wheeled or tracked vehicles). Clear ground:1 MP, Rough ground:1MP, Light woods:2MP, Heavy woods:3MP(minimum reduction to 1, with no facing chnges). Swampy ground:2MP. Clear ground:1MP, Rough ground:2MP, Light woods:4MP, Heavy woods:5MP(minimum to 1, with no facing changes). Swampy ground:4MP. 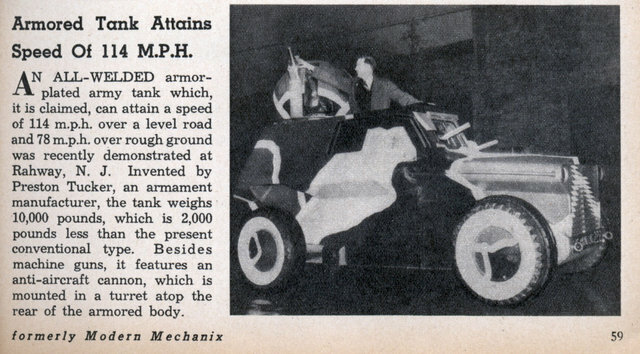 Take a tanks top MPH and convert it into hexes. Example a tank can go 20MPH, it moves 2 hexes. 30 MPH=3 hexes,etc,etc. If a tank goes say 18MPH, round to he nearest 10MPH. If it is dead even, 15, 25,etc, round down always. For mobility, use your own judgement. Some tanks which were known for clumsy handling for instance, I make sure they do not get as tight of maneuvers as others. Firing. Tanks do not use deflection, and the gun ranges only count as half. For example, 10 hexes would only make a +5 difficulty. Firing is done normally, the range, and tank BTN totaled, then subtracting the gunners DE=the BTHN. Damage is done using the damage diagram similar to Crimsonskies. When firing a AP round at infantry, one can only make 1 hit against them. Even if the infantry unit is 20 strong, the tank can only kill one soldier. A. In the ruins of a abandoned building. B. A preconstructed dugout for tanks. C:If 2 levels higher than the firing tank. A tank CANNOT hull down if it has a "Low hull mounted gun". It takes 4 turns of digging to construct a dgout for tanks by 20 infantry doing nothing but digging (No firing, no taking cover,etc.). Applying damage. Damage is applied normally. HOWEVER....Guns can be stopped by armor without doing damage. Unlike the CS plane damage system, if a round cannot penetrate the armor of a tank, it does no damage (Come on.. a 75MM hole in a 12' wide tank?). A Penetration is achieved by at least one damage box breaching the armor and penetrating inside, weather or not it hits a vital component. If it penetrates, apply damage, work out the critical systems it hits. If it is enough to damage, but not destroy the tank, leave the damage applied, leaving the tank vulnerable to lighter artillery or tank fire. Treads: Must take two bordering boxes of damage before it goes into effect. The turrent still works, but if a track is destroyed the tank is immobile. Driver:If a driver is hit, the tank halts immediately. Another crewmember can take his place, but it takes 2 turns, and the tank can only move at 1/2 speed. Exhaust: If the exhaust is hit, and still open. Grenades and Molotov cocktails can attempted to be thrown by infantry. If a successfull hit is done, the tank catches fire. Engine: The tank is destroyed, immobile. Fuel tank: When hit, a die roll must be made. On a result of 4 or lower, the tank catches fire. Radio: When two friendly tanks are in the same hex, and no radio, they must make a collision check. BTHN of 10-Die roll=BTHN. Artillery can fire once per turn, however it cannot be moved during the game unless it is a self-propelled gun. There are two ways of firing. (In rule #2 ignore the +1 bonus for every other missed shot). #1. Direct fire. There is a direct LOS to the target. In that case, standard BTN hold true as tank gunnery. The gunnery crews recieve a +1 TH bonus for being stationary, and for every other missed shot, add a +1 TH bonus to the firing result (The result of crews finding range and leading speed,etc.). #2. Indirect fire. In this case there is no direct LOS. Standard BTN are now ignored. There is a base +5 difficulty for Indirect firing.+ 1/2 the normal TH modifiers (Range)(Instead of 20 hexes being +10, it is half=+5). They instead of firing at a target, fire at a hex. On a miss, roll as a bomb miss for hex hitting. (See Infantry spotting rules to figure out the reduction in the THN). On a hit to that hex, roll a 1D10(or 1D6). On a result of 6 or higher (or 4 or higher) the target is hit. Otherwise it is a miss. Infantry can move 1 hex per turn (Sped up, but a must do to keep it moderately even). They can be boarded on a troop carrier (Truck,APC, Autogyro,etc.) and then can be moved in that vehicles speed. However neither the carrier, nor it's cargo(Soldiers) can fire during the turn that the troops disembark the carrier. Instead of moving, a infantry unit can do several things. #1. In hexes that are rough, light, or heavy woods, the unit can "Hunker down", and raising their THN by 1. In exchange however they themselves recieve a -2 penalty to their firing results. #2. Dig in. This takes two turns of no firing. Once completed, they can fire as normal, spot for artillery, or take cover. When dug in they recieve a +2 to-hit bonus. #3.Fire. They fire their weapons, some may be out of range, and cannot fire. #4. Take cover. They cannot fire, but purely and simply dive for concealment. Recieve a +2 TH bonus. #5. Spot. This means they can spot for artillary. The first turn of firing, a +1 to the firing results are given. Also after that, each additional turn spent spotting at a specific target adds a +1 result to the result (Example. The THN for a the hex a T-35 is in is 5+ range(5)=10. If the infantry spot for 6 turns, that THN is reduced to 4). Infantry weapons damage can vary. A entire squad can have differing weapons types. Some can damage heavy vehicles, some cannot. In addition, some can have weapons with differant THN etc,etc,. You can decide if your squad uses all the same weapons for simplicity, or mix and match to suit their unique needs. Unlike tanks and artillery. Infantry reduce the THN as usual (4 hexes +4 difficulty). Figure out appropriot DE's and values for them, then assign weapons. Weapons can do two things. #1. Inflict a certain amount of damage. Some larger ones such as the Lahti 20MM anti-tank rifle can infict up to .60AP damage, while others, only a single damage block. #2. Fire a number of times. Semi-automatic rifles such as the Johnson, or light machine guns like the MG34, can fire multiple times in one turn. (Note. Optional rule is that it only fires once, but at a reduced THN). Damage. For this portion I recomend using in addition MULTIPLE 1D6's for explosives work. #1. Applying infantry weapon damage. Roll for hit as normal. If a hit is rolled, roll a 1D10 and find out who was hit. (I recomend 10 man units, it makes it easier. However you can make them of any sided dice you wish). If you get a hit on someone who is already dead, re-roll the dice until a living unit member is hit. 2-3. Man is mortally wounded. You may figure out the exact effects. Personally I had that if mortally and lightly wounded soldiers were to be taken with the company, it would take 4 and 2 (Respectively) per wounded soldier to continue normal speed. If there is not enough, speed is lowered consequtively as soldiers permit. (Example, if only 2 soldiers are available to carry a mortally wounded soldier, they reduce speed by 1/2. 1 soldier to carry. Reduce by 1/4.). Heavy weapons operators (Such as the Lahti 20MM that requires 2 to carry) cannot carry comrades unless the weapon is abandoned. When hit by a HE shell from a 50MM and up gun. 3-4 Man is mortally wounded. 5-6 Man is lightly wounded. When hit by a HE shell from a 20MM,37MM,hand grenade, light mortar, or rocket. Roll a 1D10(or1D20,etc) and divide the results by 4,rounding down. Inflict casulties as per normal rifle hit. Infantry: Although some weapons do more than 1 damage, they do not use damage templates, unless stated. In addition=Damage templates cannot be used over the standard FASA range, etc,=.30AP range 7,.60AP range4,etc. Past that the round is not effective and only does damage to softskins and infantry. In the first number(In the examples of 3X1, and 1X1,etc.. The first number is the number of times it can fire per turn, the second is the damage it inflicts). The following numbers, which are in "(" and ")" are in consequative order, short, normal, medium long, and (In rifles and up) extreme. The final set of numbers (In "[" and "]") are the number of crewmen needed to move the weapon the same speed as the infantry. If that number is followed by a "*", it means the unit must stop for one turn before being able to fire. Firing modifiers(All firing modifiers are in addition to normal ranges)=Short range means a +1 firing result. Normal is no effect. Medium is a +1 difficulty. Long range is +2. Extreme range is +3. Light machine gun. 2X2 (1,3,5,7,10)  Extra ammo can be carried by a named unit member. Heavy mortar. 50MM HE. Min range of 2 (3,6,8,12,14)  Takes 1 turn to set up before firing. Recoilles rifles fired as artillery. Take one turn to set up before firing. Heavy recoilles takes two turns. Special attributes: This affects tanks, artillery and infantry. Some stuff applies to both artillery and tanks so I included them all into one. Narrow treads: Reduce speed and mobility by 1 when on mud. Sloped Armor: Reduce the penetrating power of an incoming round by 2. A 75MM therefore will only penetrate 12 boxes instead of 14. Improved gunsight: Reduce the THN of an opposing tank by 2. Low Profile: Add a +1 to the crews 6th sense when concealing. Low Hull Gun:Cannot fire from a hull down position. High profile: Although a tank may be small, it can have a large profile. Add a +1 bonus to every shot fired at it. In addition a -1 is deducted from the crews 6th sense when concealing. Inferior engine: Every 5th turn(5,10,15,etc), roll a 1D10. On a result of 1, the engine quites. One-man turrent crews: Add a +2 penalty to any THN. The commander serves as gunner AND loader in addition to command. Two-man turrent crews: Add a +1 penalty to any THN. The commander serves as the gunner as well, degrading the firing and command capability. Artillery and Tanks: When figuring out extra penetration, round to the nearest whole number. For example 30% of 14 would be 4.2. 4.2+14=18.2. Round to 18. High Velocity guns. These increase penetration at all ranges. The first 25% of the guns range, increase penetration by 30%. The first quarter of the guns range increase penetration by 20%. Up to 50% of gun range, incease penetration by 10%. The first quarter of a guns range, increase penetration by 10%. Body armor: If hit by a weapon doing 1 damage, roll a 1D10. On a roll of 6 or higher, the person takes no damage. No affect on rifle fire. Submachine guns. If target is in the same hex as the weapon is being fired, increase the roll result by+1. (Roll the die and add +1 to the result when firing). No one ever replied to this? I haven't had a chance to do more than a cursory read through, but it looks interesting. Ground forces (and naval forces) are the logical siblings of the Crimson Skies rule set, and integrating the three would not be too difficult if enough time was put into it. This looks promising. Are you still pursuing this? Has it been game tested? What were the results? Last edited by 1 on Patrick, edited 0 times in total. I got it set up and then real life completely took over. The last two years, and after the release of my fan-made-sourcebook, I just completely got busy. I graduated (home) high-school and just got super-involved in real-life work. I think I played a few rounds and it worked okay, a little slow. However I'm thinking that it was mainly due to being a new ruleset. It looks simpler than I remember. Note just before posting: In the same folder I have a PDF of an old FASA game ruleset called "Renegade Legion". Delete the rules regarding shields and the rules look like they would work. I have no clue how I missed this thread before. . .
Grant this looks very interesting! I have often wanted to see a more comprehensive expansion and this is certainly a step in the right direction! Grant wroteColon In the same folder I have a PDF of an old FASA game ruleset called "Renegade Legion". Thom wroteColon I have no clue how I missed this thread before. . . I agree. Imagine scrambling fighters to try to stop infantry from overwhelming your aerodrome! This fits in the thread, "High Speed Crimson Steel" for your consideration. . . Heavy MGs forward and an "Anti-aircraft cannon" turret mounted on top. Preston Tucker was something of an anomaly of the US Auto Industry, he thought about things like safety long before anyone forced the industry too.